Dr. Elisabet Sahtouris is an internationally known evolution biologist, futurist, author, professor and business consultant. She teaches in the Bainbridge Graduate Institute's MBA program on sustainable business and is a fellow of the World Business Academy. Dr. Sahtouris has been a UN consultant on indigenous peoples, is a co-founder of the Worldwide Indigenous Science Network and has authored a scientific model of a living cosmos (see www.via-visioninaction.org under Articles). She lived extensively in Greece and the Peruvian Andes, discovering solutions to our big social and economic problems in Earth's ecosystems and indigenous sciences. Her venues have included The World Bank, EPA, Boeing, Siemens, Hewlett-Packard, Tokyo Dome Stadium, Australian National Govt, Sao Paulo's leading business schools, State of the World Forums (NY & San Francisco) and World Parliament of Religion, South Africa. 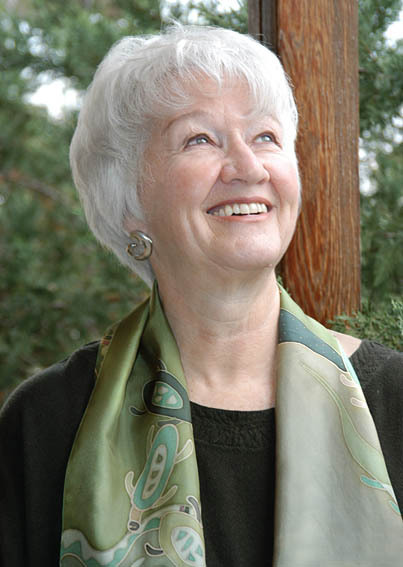 Her books include EarthDance: Living Systems in Evolution, A Walk Through Time: from Stardust to Us and Biology Revisioned (with Willis Harman). Her websites are www.sahtouris.com (professional) and www.ratical.org/lifeweb (personal, with many writings). Elisabet Sahtouris, M.S., Ph.D is an internationally known evolution biologist, futurist, author, professor, speaker and business consultant. Dr. Sahtouris studied at Syracuse University (B.A. ), Indiana University (M.S.) and Dalhousie University in Canada (Ph.D.). She had an NIH post-doctoral research grant at the American Museum of Natural History in New York City and another at Massachusetts General Hospital in Boston, taught at the Mass. Institute of Technology (MIT) and the University of Massachusetts. She lectures and appears on radio and television in Europe, North, Central and South America, Asia and Australia/New Zealand while residing in the USA after many years of research and writing in Canada, Greece and Peru. Her books include EarthDance: Living Systems in Evolution, A Walk Through Time: from Stardust to Us and Biology Revisioned, with Willis Harman. Her websites are www.sahtouris.com (professional) and www.ratical.org/lifeweb (personal, with many writings). Known for her articulate, encouraging and optimistic approach to dilemmas facing humankind, she discusses solutions to economic, political, social and spiritual problems through understanding the Earth's naturally evolved living systems and cooperating with traditional cultures whose sciences and spirituality reflect that understanding.